Need a professional talent with lots of personality to bring your next project to life? Laci voices everything from the spunky kid, quirky teenager, musical princess, or friendly mom to the sophisticated businesswoman. Her flexibility makes her the perfect choice for radio, commercials, narration, apps/games/toys, and animation, with a conversational style that invites people to listen. No wonder clients like Mattel, Nintendo, Epson, and Sephora have booked Laci to voice their projects! 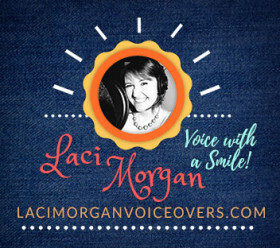 Description of voice: Laci voices everything from the spunky little kid, quirky teenager, musical princess, or friendly mom to the sophisticated businesswoman. Her specialties are animation and children's apps/toys with a realistic young tone and plenty of energy, though she also often narrates for businesses and products with a mature and warm sound as well.